When we rewind history to Abraham's era, we encounter people who concocted false superstitions to explain the unexplainable. Powerful kings claimed to be gods, building massive pyramids in an attempt to achieve immortality. Out of this mass of misunderstandings, this collage of confusion, one man emerged. 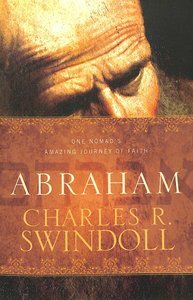 Chuck Swindoll uses the life of Abraham to outline what it means to live with courageous trust in God. You won't want to miss this remarkable biography about one of the most discussed men of all time.